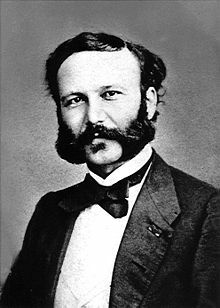 Jean Henri Dunant (8 Mey 1828 – 30 October 1910), an aa kent as Henry Dunant, wis a Swiss businessman an social activist. Durin a business trip in 1859, he wis witness tae the aftermath o the Battle o Solferino in modren-day Italy. He recordit his memories an experiences in the beuk A Memory of Solferino which inspired the creation o the Internaitional Committee o the Red Cross (ICRC) in 1863. The 1864 Geneva Convention wis based on Dunant's ideas. In 1901 he received the first Nobel Peace Prize thegither wi Frédéric Passy. This page wis last eeditit on 27 Julie 2015, at 18:01.